Labouring under the distinct disadvantage that Rush don't really do hits, this fourth repackaging of the band's career to 1987 fails to rise above the predictable. (Universal) RUSH ARE NO STRANGERS TO THE compilation: their first, 'Archives', came out in 1978. That was a repacking of their three initial, atavistic albums 'Rush', 'Fly By Night' and 'Caress Of Steel'. Subsequently, 'Chronicles' (1991) was a 28-track overview, while 'Retrospective Vol 1: 1974-1980' and '...Vol 2: 1981-87' came along in the summer of '97 and collated 29 songs between them. In addition, the band have been nothing if not thorough in cataloguing their development via lengthy live albums: 'All The World's A Stage' (1976), 'Exit Stage Left' (1981), 'A Show Of Hands' (1988) and 'Different Stages' (1998) offer an alternative view of Rush's singular career. 'Spirit Of Radio' carries no such cachet, despite its thoughtful cover. Instead a (perfectly serviceable) DVD has been clompily glued to the front. 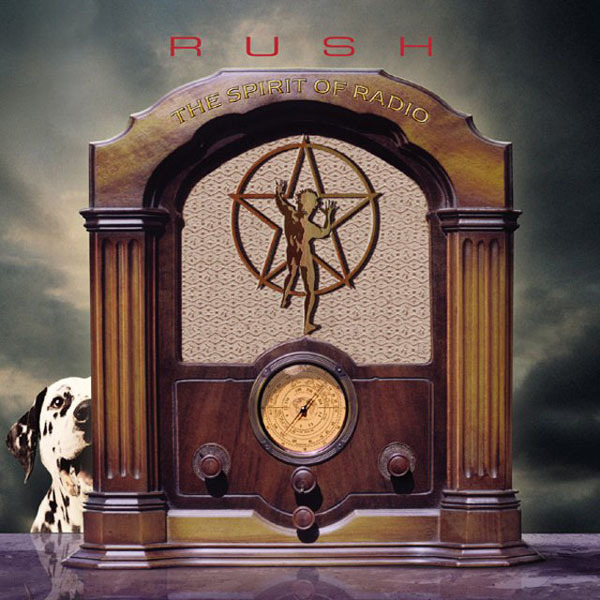 The omission of any songs from Rush albums that came after their move from Mercury to Atlantic for 1989's 'Presto' also extracts a heavy toll on the validity of this compilation. The 'Greatest Hits' tag has limited track selection to the obvious. Rush's single choices, especially prior to 'Moving Pictures', were necessarily confined to the one or two tunes per album that weren't conceived as space rock epics or brooding art-prog monsters. This compilation is not, then, representative of their best work, merely their shortest. Rush's distinct evolution is evident, though. Early Zep-isms like 'Working Man' and 'Fly By Night' - characterised by the shriek that has haunted Geddy Lee even though he turned it in some 20 years ago - give way to Neil Peart's clunky allegory 'The Trees' and sixth-form idealism 'Closer To The Heart' (Philosophers and ploughmen/each must play their part/to forge a new reality' etc etc), and then to the mature sonics of definitive albums like 'Moving Pictures' ('Tom Sawyer' and 'Red Barchetta'), 'Signals' ('Subdivisions/New World Man') and beyond. As a primer for the most casual of Rush fans - and do Rush really have casual fans? - it's just enough to intrigue. Bigger fans of the band would make different track choices: 'Overture' and 'Temples Of Syrinx' are the tired bits of '2112'; 'A Farewell To Kings' and 'Hemispheres' should surely be represented by chunks of 'Xanadu' and 'Cygnus X1'; while two of the best songs on 'Signals' - 'Losing It' and 'The Analog Kid' - are overlooked for the dreary 'New World Man'. The worst of Rush's best-ofs, by some way. Predictably compiled, suspiciously contractual, it's the least good of Rush's many compilations.